Pamplona is famous for an event known to locals Encierro or “The Running of the Bulls,” but this shouldn’t be your only reason for wanting to visit. A short walk through its old medieval town can bring you to your senses and give you plenty of reasons to travel to this side of Spain. History has much to do with its main attractions, but the city is not without surprises for those wondering what to see and do in Pamplona. If not for bulls running through calles or centuries worth of historic landmarks, there’s always food and wine, parks, and the rare opportunity to go on a pilgrimage by foot all the way to Santiago de Compostela. It isn’t the oldest church in the city. However, the 15th century cathedral boasts more than years, and is in fact most remarkable for its architecture. The Pamplona Cathedral features a French Gothic style which is best observed from its interiors. 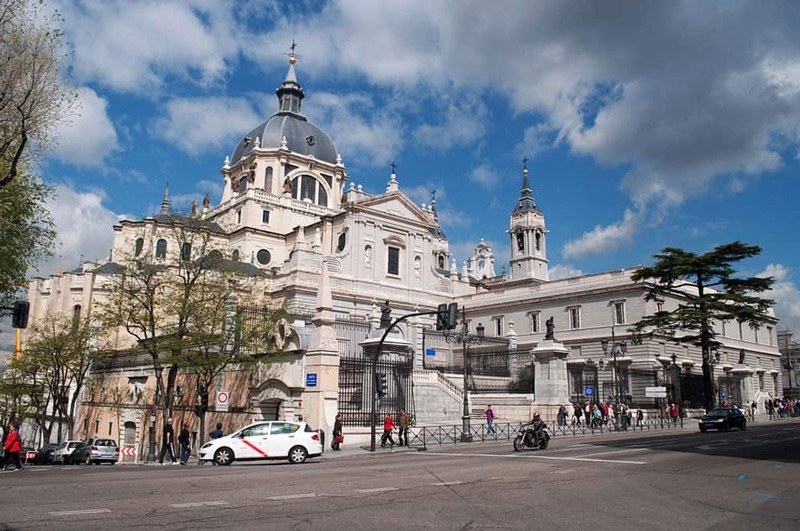 The two large towers outside are noteworthy – one of them houses Campana María or Mary’s Bell, the second heaviest in Spain and whose ringing can be heard far into the distance. The church contains the largest number of historic relics and art in Pamplona. The best way to explore Catedral de Santa María la Real is to take an unguided tour so you’ll have plenty of time to appreciate its adornments. While you’re there, make sure not to miss the Barbazana Chapel, the expansive library, the Rococco-styled sacristry, the kitchen and its stone chimney, the rib-vaulted refectory, and the Diocesan Museum with its impressive display of sacred art. As the epicenter of Pamplona’s social life, residents lovingly call it their “living room”. Here you will see locals hanging about to eat, socialize, or go shopping. If you want to experience Pamplona’s Basque culture, this would be a great place to immerse. The plaza has several cafés and restaurants within the vicinity where you can have your fill of traditional foods such as pintxos, pimiento de piquillo, chistorra, and cordero en chilindrón. Naturally, a visit to Plaza del Castillo won’t be complete without dropping by Café Iruña. When Ernest Hemingway was writing The Sun Also Rises, a novel which highlights Pamplona’s cityscape, he spent much of his time here. The city walls harken to a time when Pamplona was still a fortress. Built from the late 16th to the 18th centuries, they span a total of 3 miles and consist of bastions, ravelins, forts, and gates – all of which a sight to see. Among its most notable attractions however are Portal de Francia (The French Entrance) and La Ciudadela (The Citadel). While only three quarters of the original walls remain today, they are still considered as some of Spain’s best-preserved defensive complexes, rightfully earning their recognition as a national monument. It is the oldest park in Pamplona and a definite must-see. Having been styled after the parks of Versailles, it features a romantic 17th century atmosphere perfect for afternoon strolls. It is situated within the medieval city walls and has several attractions including the Mariblanca sculpture and a tiny zoo by the moat with its odd mix of creatures. But there’s a lot more to see in the park such as old sculptures, the parterre garden, fountains, pointed archways, and gates that resemble triumphal arches. The park is located near the city walls much like La Taconera. It is renowned for its waning crescent moon shape, as well as its romantic theme. Even though it’s a fairly modern creation dating back to 1953, it does offer a unique view of the skyline since it’s on higher ground. From here, park-goers will be able to admire the city’s medieval churches, the bell towers of the Pamplona Cathedral, and the market gardens of La Magdalena. The Citadel once served as the city’s defensive fortress against French incursions, and can be found on the southwest corner of Pamplona’s historic centre. Built in the 16th century in the pattern of a star, it is considered to be the finest example of a military structure with Spanish Renaissance architecture. After its demilitarization, La Ciudadela was transformed into a public space. What were once fortresses – El Polvorín, El Horno, and La Sala de Armas – are now utilized for cultural exhibits or leisurely activities. Also known as The Way of Saint James, it comprises of several pilgrimage routes from different parts of Europe and leading towards Santiago de Compostela, where the relics of St. James the Greater are to be found in a 12th century cathedral. One of these routes happen to be in Pamplona, and its path is marked by a number of religious landmarks. The pilgrimage from Pamplona starts at the Magdalena Bridge where a cross bearing the image of St. James serves as an ominous reminder for the spiritual journey. From there, you will be entering the Old Town through Portal de Francia. It is customary for people on pilgrimage to collect stamps at the Pamplona Cathedral before passing the medieval city and exiting through Portal de San Nicolás. The second week of July is marked by the most exciting time of the year in Pamplona, both for locals and tourists alike. As the San Fermín Festival begins, you can look forward to the Running of the Bulls. Locals usually wear a white top with red handkerchiefs around their necks, so you can wear the same attire to blend in. During this exhilarating 825-metre race, bulls rampage through the streets towards a bullring. The safest place to witness the race is from the balconies along Calle de la Estafeta, where you’d have to rent out a flat up to several weeks prior. Meanwhile, the most daring onlookers usually gather between the town hall and the bullring. Aside from the world-famous Encierro, there is also a nightly fireworks competition at The Citadel during the festival. Then of course there is the tempting thought of sinking your teeth into a meal prepared with none other than the bulls from the race, which can be enjoyed at pretty much any restaurant throughout the festival. Pamplona may be a city of contrasts, but at the end of the day, the combination of its old charm and dynamic Basque culture is what makes it interesting. Surely there are plenty of things to see and do in Pamplona other than what we’ve mentioned, but if you’re after the beating heart of the Spanish city, you simply cannot miss these attractions.